The increasing number of global problems and their severance gave exposure to the shortcomings of the current global economic governance system dominated by developed countries, which is in dire need to mobilize more extensive and profound international positive factors to build a community of human destiny. With the loosening of the material foundation, the weakening of the system foundation and the reversal economic spillover effect, the role of the emerging economies in global economic governance has changed. Regarding international trade rules, international financial order, international investment rules and international financial institutions, they positively express opinions and promote reform. However, due to the uncertainty of world economy, the reform faces challenges. In the future, they should adhere to the “adaptive integration”approach, based on the strengthened national capacity, express their collective voice, and give innovation to the structure of global economic governance. IMF. 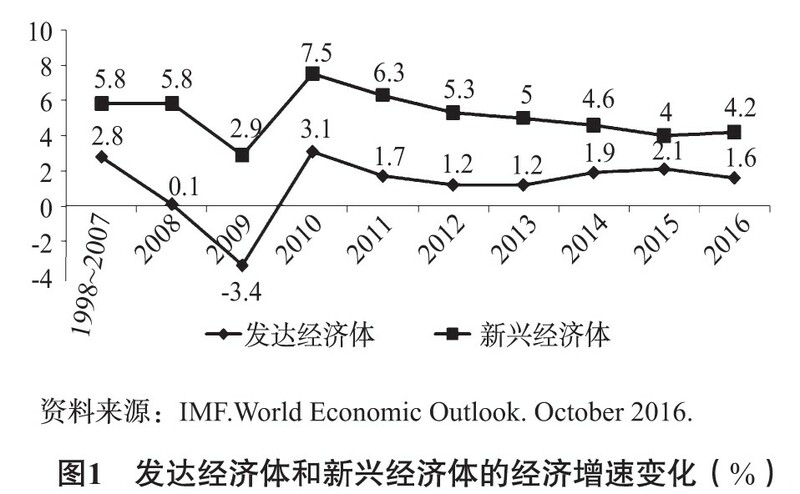 World Economic Outlook[R]. October 2016. IMF. 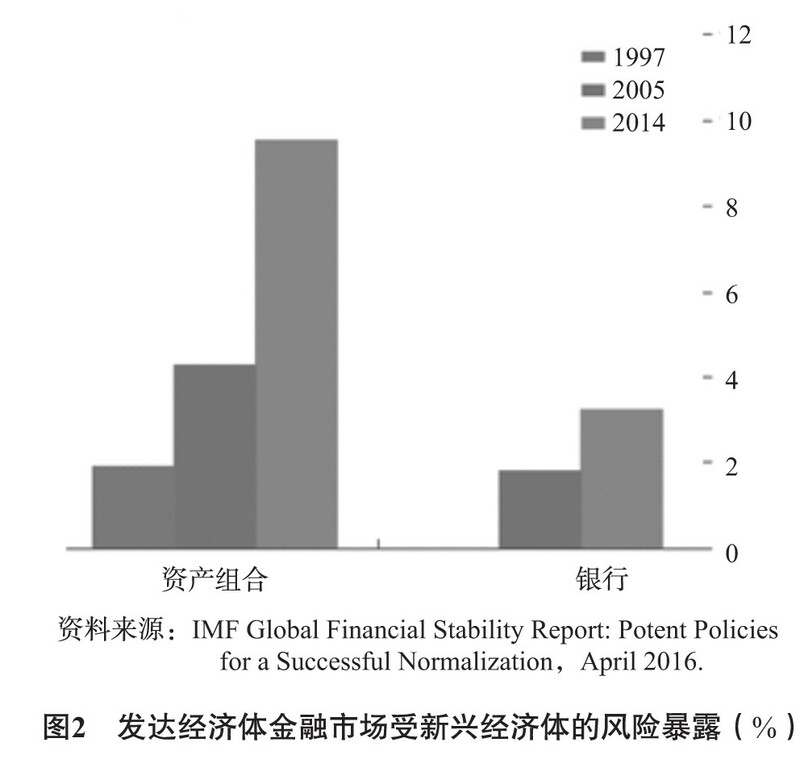 Global Financial Stability Report:Potent Policies for a Successful Normalization[R]. April 2016. National Intelligence Council. Global trends 2025:a transformed world[R]. 2008. 任琳, 程然然.欧盟全球治理观的实用主义转型[J].国际展望, 2015, (6) . IMF. 2014 Spillover Report[R]. July 2014. Karolyi, G. A., Ng, D. T., and Prasad, E. S. The coming wave:where do emerging market investors put their money?[J]. Social Science Electronic Publishing, 2015. He, D., E. Wong, A. Tsang, and K. Ho. Asynchronous monetary policies and international dollar credit[R]. Working Papers, 2015. 桑百川, 靳朝晖.国际投资规则新发展及对中国的影响[J].山西大学学报 (哲学社会科学版) , 2012, (3) . 盛斌, 段然. TPP投资新规则与中美双边投资协定谈判[J].国际经济评论, 2016, (5) . 李玉梅, 桑百川.国际投资规则比较、趋势与中国对策[J].经济社会体制比较, 2014, (1) . 祁欢, 阎聪. 2012美国BIT范本对中美BIT谈判之影响的再研究[J].山西大学学报 (哲学社会科学版) , 2015, (1) . 董国辉.发展权概念的经济理论渊源[J].南开学报 (哲学社会科学版) , 2014, (5) . Andrew, F. C. and A. Antkiewicz. Emerging Powers in Global Governance:Lessons from the Heiligendamm Process[M]. Wilfrid Laurier University Press, 2008.